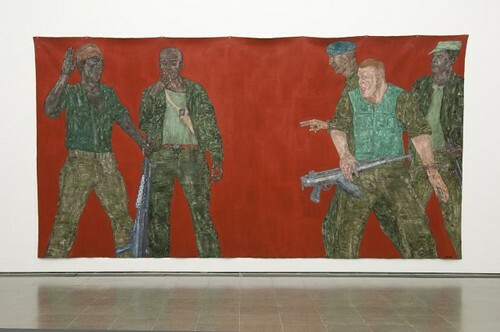 Serpentine gallery in Hyde Park presents ‘Bite Your Tongue’, a survey of American artist Leon Golub, curated by Emma Enderby, for the first exhibition of his work in London since 2000, writes Sean Eckhardt. Golub (1922-2004) began his career at the Chicago Institute of Art, studying as a beneficiary of a GI bill scholarship after the Second World War. During this time, he developed an appreciation for the importance of the human form, in line with a style that dominated the 1950s art in Chicago. Golub’s work straddles the line between abstraction and figuration. Top: Bite Your Tongue, 2001. 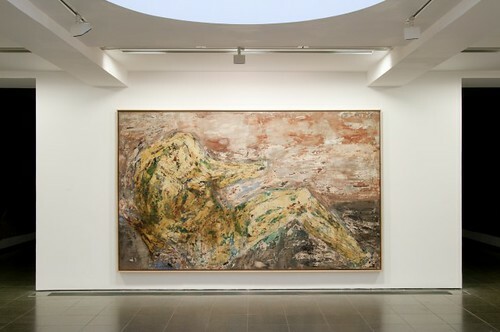 Installation image, Serpentine Gallery, 2015. His process was laborious and physical – acrylic paint and lacquer were allowed to dry and subsequently scraped off, a process that was repeated, resulting in heavy texture and rough geometric patterns. 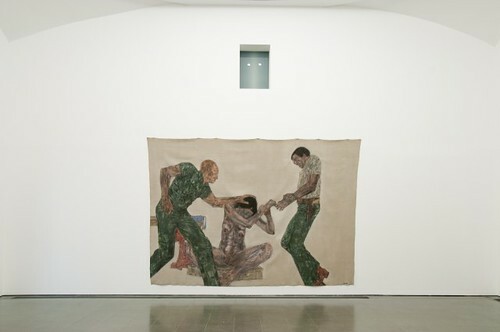 This aggressive technique extended to the canvas: Golub cut directly into the fabric for further textural effect. This is especially apparent in Vietnam I, which graphically portrays the violence of the Vietnam War, where the cloth itself is butchered into a gun-like shape. 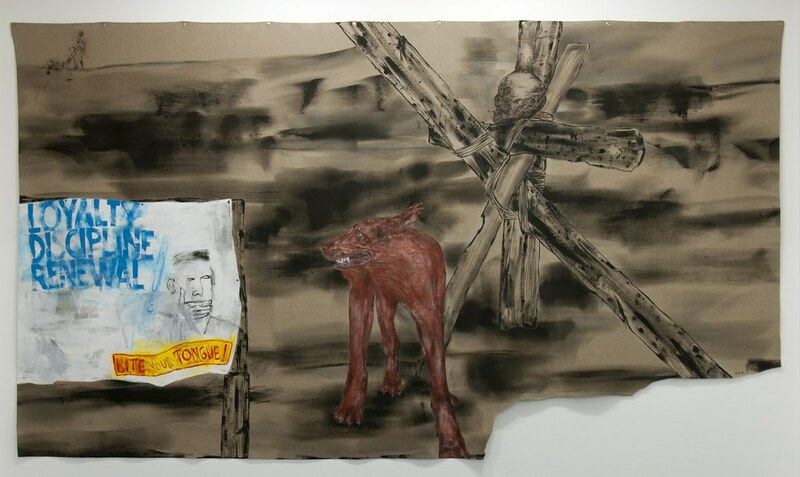 His work took on a different aesthetic in the 1990s focusing much less on the human form and more on graphic elements such as patterns, slogans and text for a much more fragmented, collage-like style that highlights a somewhat dystopian view of urban life, especially in Beware of Dog and Bite Your Tongue the painting after which the exhibition is named. 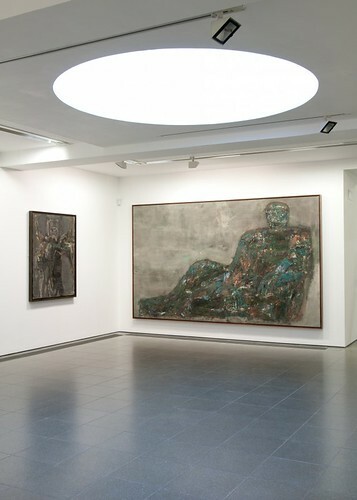 ‘Leon Golub: Bite Your Tongue’ continues until 17 May 2015 at the Serpentine Gallery in London. Mercenaries IV, 1980. All images © Reads 2015.